We went around the table at Thanksgiving and each spoke of something for which we were thankful. For Henrik, it was apple juice. We don’t drink juice on a regular basis so the apple juice was something special and it was the only thing he had sampled before telling us what he was thankful for. My heart sank a little because this was this was the first Thanksgiving I had made almost everything on the table. We bought bread, the stuffing mix, mushroom gravy (both from New Seasons) and, of course, the apple juice. But once Henrik started eating, he loved everything. So, my heart glowed again. I did not make a “main dish” (I plan on attempting this next year), but there was no lack of food. 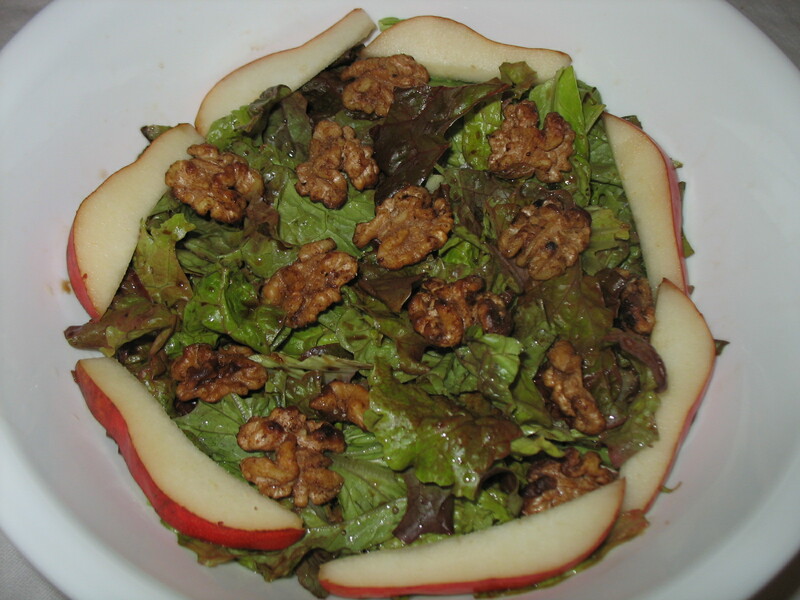 We had a green salad with pears, candied walnuts and a balsamic and olive oil dressing. The walnuts were such a hit that I have made a new batch every couple days since Thanksgiving (they are also a great Holiday gift). I did modify the recipe a bit after the first round by adding salt and I have also made them with salted butter. Henrik and I picked up a Kraeuterbrot from Fressen Bakery at the Eastbank Farmer’s Market on the Tuesday before Thanksgiving, which kept well until Thursday. I made “traditional” mashed potatoes with whole milk, a little butter and salt and oven roasted root vegetables (garnet yams, carrots and parsnips). I picked up a bag of seasoned stuffing mix and then added vegetable broth from a Rapunzel vegetable bouillon. Prior to mixing together, I sautéed garlic, onion, celery and dried Bing cherries (soaked in warm water first). A little fresh thyme rounded out the flavor and the oven crisped everything perfectly. For the cranberries, I started with a bag of Stahlbush Island Farms frozen cranberries and cooked them down with some apples. I added cinnamon, cardamom, cloves, fresh ginger brown sugar and more of the presoaked Bing cherries. I got a little carried away with the spices and the cranberries ended up packing quite a punch. As all of the leftovers disappeared over the next week; the cranberries lingered. So, I took another bag of frozen cranberries and cooked the down with more apples. I added the leftover cranberries to the mix and then poured the whole lot into a pie shell. I prebaked the crust for about 20 minutes and then baked the whole pie for about 30 minutes. With a little homemade vanilla ice cream on top, the leftover cranberries disappeared! Next year I will tone down the spices, but the cranberry pie will be a repeat. 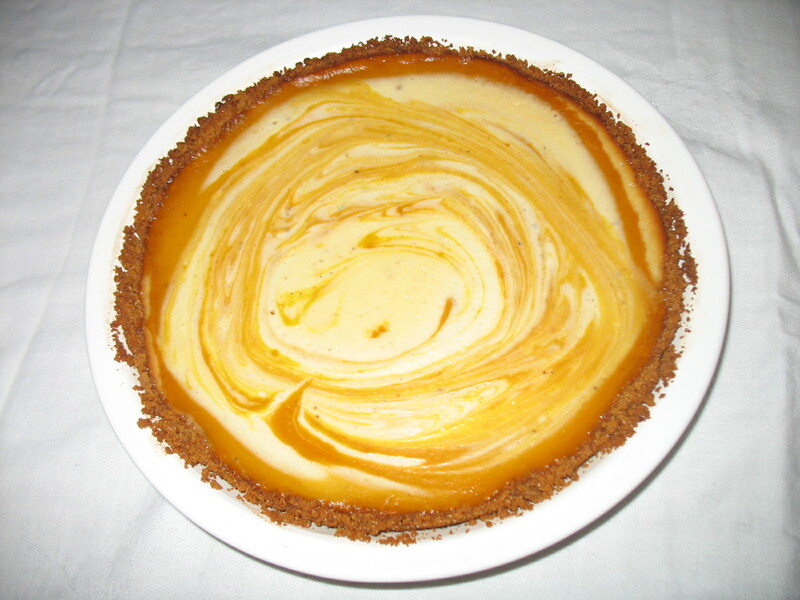 The crown jewel of Thanksgiving was the dessert, Pumpkin Ginger Cheesecake. I might be partial because I love dessert, but it was delicious. I had not previously attempted such a complex dessert and I was very pleased with the results. I basically followed the recipe, except that since I hadn’t read the recipe in its entirety before starting, I didn’t realize that the crust started with gingersnap cookies. I had already bought graham crackers for the crust so that is what I used. We were all so full by the time dessert rolled around that we could only fit in a small slice. The cheesecake was great as a leftover and it continued to compliment the rest of the Thanksgiving leftovers for many meals. 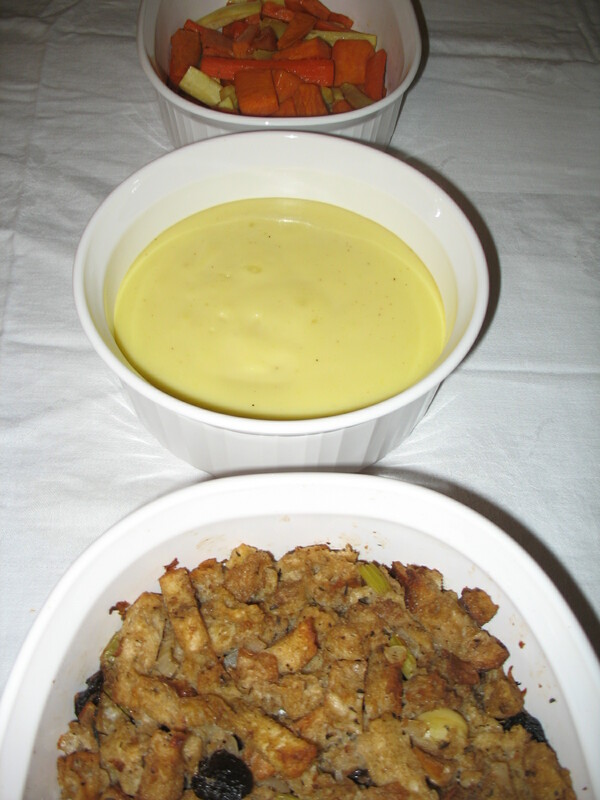 Leftovers can be great as they are or they can serve as a building block for a new innovative recipe. 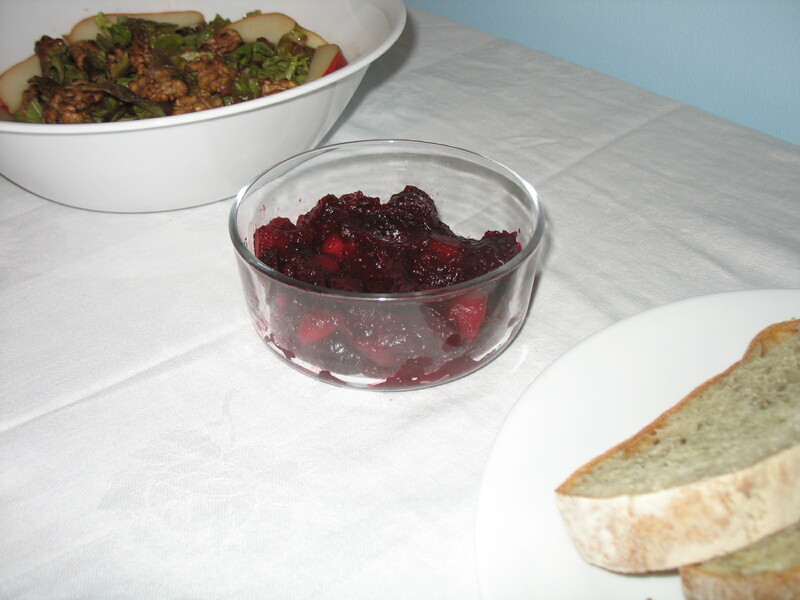 The cranberries were good to start, but they were even better when they became the starter for the cranberry pie. Seemingly boring leftovers can actually be the foundation upon which to build a creative new meal. I too am thankful for apple juice, but also for cranberries and for so much more. Happy Holidays! This entry was posted in Family, Food, Local, Recipies, Seasonal. Bookmark the permalink.